Today we find many Christian denominations, and one would be confused in choosing which denomination he need to follow or which Church really follows what the bible teaches. 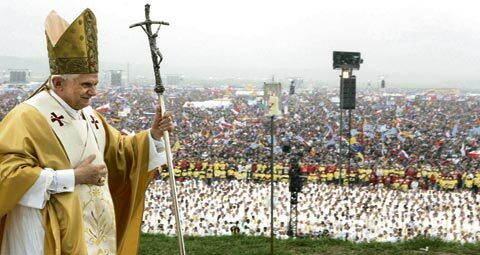 Here I point out 5 things which I believe to be powerful and important in being a Catholic. I know this might not help or be of any interest to the Non Catholics, but still I feel these are important and these could really be of interest to some one who came to know about Christ recently and is willing to know more about the Catholic Church. 5) Praying for the dead. “John 1:14 The Word became flesh and made his dwelling among us”. The Bible very clearly points out the importance of word and flesh in the Gospel of John. 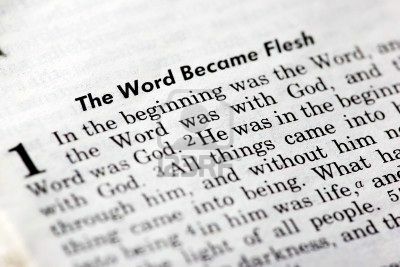 It says that word was God, and it also says word became flesh. I believe Word and Flesh are two very important elements that constitute to the basis of our faith and I would rather prefer to say that both word and flesh are equally important. Many Churches focus on the word and the flesh part is just a remembrance service for them. Here is where the Catholic Church has been blessed by the lord. Mathew 13:11 “He answered and said unto them, Because it is given unto you to know the mysteries of the kingdom of heaven, but to them it is not given.” Yes the Importance of flesh has been revealed to the Catholic Church and the holy Eucharistic Service reminds us that we are the beneficiaries of this life-giving grace. 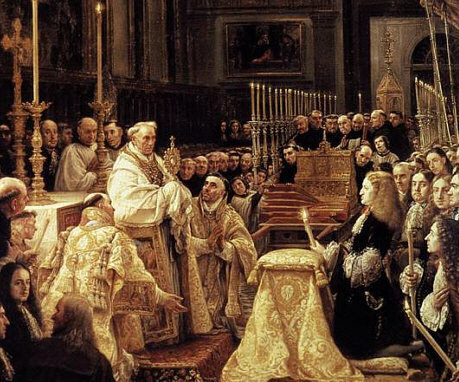 It reminds us that the lord is with us, or is in us when we receive the holy communion. It Reminds us that our body is the temple of God. Mathew 16 :18 “And I say also unto thee, That thou art Peter, and upon this rock I will build my church; and the gates of hell shall not prevail against it.” Imagine a Church, reporting more than billion members, around 3000 Bishops, over two hundred thousand priest, 30 Roman Catholic denominations, 22 different Liturgies within the Roman Catholic Church and 8 between 66 independent schisms, people from different countries, different cultures, different language all led by the Pope, the successor of Peter. Is it not an amazing grace from the lord? Is it not the fulfilment of the word?. Yes it is indeed as today when we find people are not able to lead a small group, this is truly a heavenly intervention and a heavenly guidance allowing the successor of peter to lead the Church. The Sacrament of Penance, commonly called Confession, is one of the seven sacraments recognized by the Catholic Church. 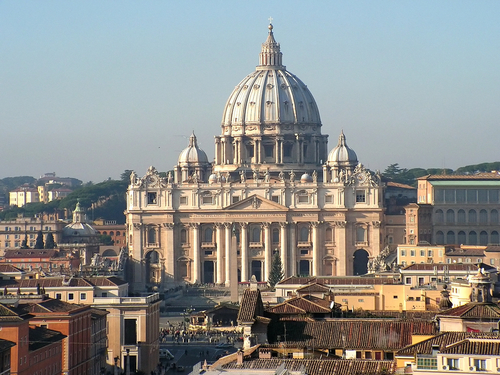 It is being instituted by Christ himself and is not an invention of the Catholic Church. After his resurrection, he appeared to his apostles and said, “Receive the Holy Spirit. For those whose sins you forgive, they are forgiven; for those whose sins you retain, they are retained”(John 20:22-23). The sacrament of confession allows us to acknowledge our sins, to repent on them and to ask for God’s forgiveness. James 5 :16 further assures us that when sins are forgiven, healings may take place. If that is the case, then we need not only forgiveness of sins, but assurance that our sins have been forgiven. Here is where the sacrament of confession has been a blessing. It removes the guilt from the person and helps him to have a born again experience and thus helps to lead a very good Christian life. 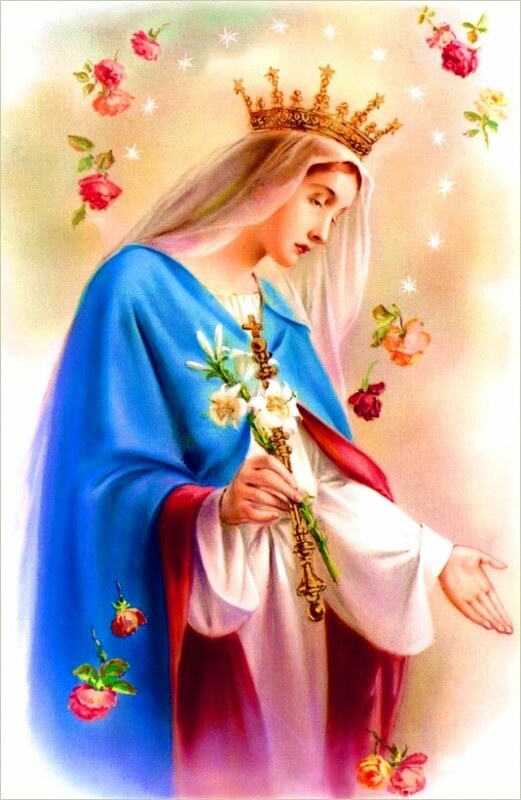 The Intercession of Mary and Saints even though not acceptable by many Christians, we Catholics are privileged as we are blessed to know this power of intercession. Rev 12: 1 “And there appeared a great wonder in heaven; a woman clothed with the sun, and the moon under her feet, and upon her head a crown of twelve stars. Mary is our intercessor like all the rest of the Saints and prays for us. She is a Secondary intercessor ( First being Christ as per the word ) and optional in our prayer to God but nevertheless she plays an important role in our lives. If you recall the Wedding at Cana, Mary approaches her son to plead the case that there was no more wine. Jesus responds to her, “Woman, how is this of concern to me. My time has not come.”…. YET, because the plea came from HIS mother, he performed the miracle. This very clearly shows the power of Our blessed Mothers intercession. Rev 5 :8 “And when he had taken the book, the four beasts and four and twenty elders fell down before the Lamb, having every one of them harps, and golden vials full of odours, which are the prayers of saints. Yes the Saints do have power to intercede for us. The point here is that Onesiphorus was already dead. And St. Paul clearly prays, “may the Lord grant him to find mercy.” St. Paul was praying that a dead man receive mercy. This entry was posted in General and tagged Catholic church the universal church, led by pope, praying for the dead, sacrament of confession, why be a catholic, why catholic church, why catholic's are right. Bookmark the permalink.